Today, Intel announced the Intel® Optane™ SSD 800P, the latest addition to the growing Intel® Optane™ technology family of products. The 800P joins the Intel® Optane™ SSD 900P, designed for enthusiasts and professional users, and Intel Optane memory, an acceleration solution to speed up slower storage, like hard disk drives and SATA SSDs. 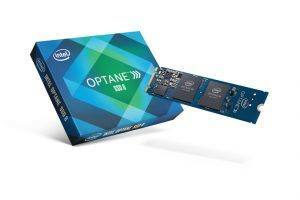 Intel Optane technology delivers an unparalleled combination of high throughput, low latency, high quality of service and industry-leading endurance. Intel Optane SSD 800P enables fast system boot, speedy application load times and smooth multitasking. It is ideal for use as a standalone SSD, in a dual drive setup or in a multiple SSD RAID configuration (PCH-based or CPU-based), offering performance and flexibility to users. The drive also supports lower-power states, allowing it to operate in devices like laptops and 2 in 1 devices, as well as desktop systems. The 800P excels with low queue depth random workloads, where most client system activity takes place, and offers uncompromising responsiveness and throughput. The 800P is available in 58GB and 118GB capacities in the M.2 2280 form factor using an NVMe PCIe 3.0 x2 interface. To find out more about Intel® Optane™ technology for client systems, visit Intel’s solid state drive page.